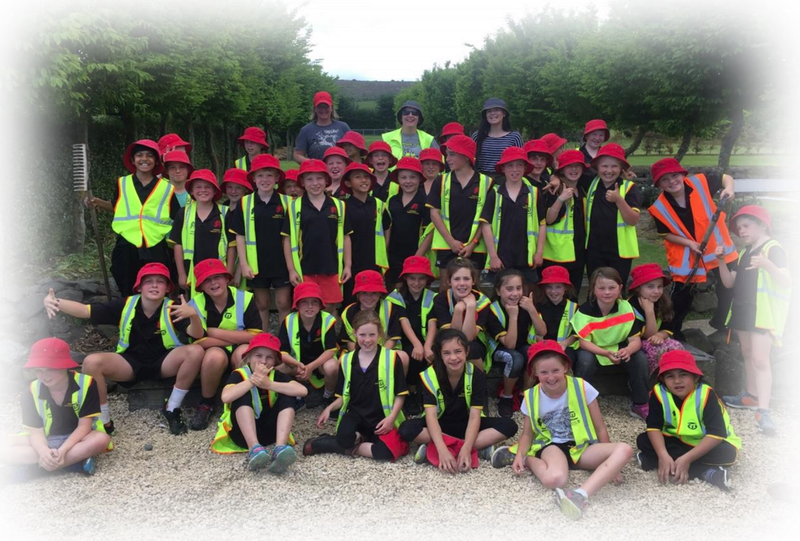 Below are some great excerpts from a writeup that Hororata Primary School created about their day of service. The truth of the matter is that 2017 has been a year out of the box. Sure sickness, Mother Nature and staff leave were all good reasons for us not to achieve our SVA goal, but in the eleventh hour, we volunteered our services to help out a local family who were trying to pull together their gardens for a local garden tour. Unfortunately, the family like most in the Hororata community, had been struck down with the horrible 100 day cough. Annabel (Mum) had injured her leg and was awaiting an important operation and the weather (Mother Nature) had made it almost impossible to get on to the gardens… that was until the Hororata Volunteer Army arrived, with an army of 42 enthusiastic, energetic and motivated students, who in an afternoon were able to help Phil and Annabel transform their beautiful garden into what was identified as one of the stand-out gardens in the Hororata Garden Tour.